SAPPHIRE is the only larger Cambria built to 48’ with a beautiful counter stern, which provides extra deck storage and a longer sailing waterline. Valued design features are shoal draft keel, very comfortable cockpit with high backrest, low profile trunk cabin and classic tapered teak toe rail. Novatrix is hull #11 of the exciting design from the respected Finnish boatbuilder, Siltala Yachts. She represents an opportunity to purchase a lightly used, high performance, four cabin yacht in excellent condition. 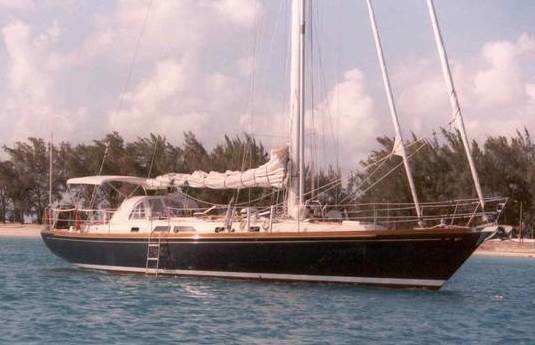 The current and second owner purchased her in the US, sailed her through the Caribbean to Bermuda then across the Atlantic to the Med., she was sailed back to the US in the Spring of 2012 and now being offered for sale. Novatrix has received extensive upgrades totalling over $200,000 since 2006, recent improvements included all new deck hatches, bottom paint, hull detailing. In March of 2013 all the onboard systems have been checked and are in top working condition, Novatrix is truely ready to go back to sea with the next owner! Call (954) 527-0664 today for more details.